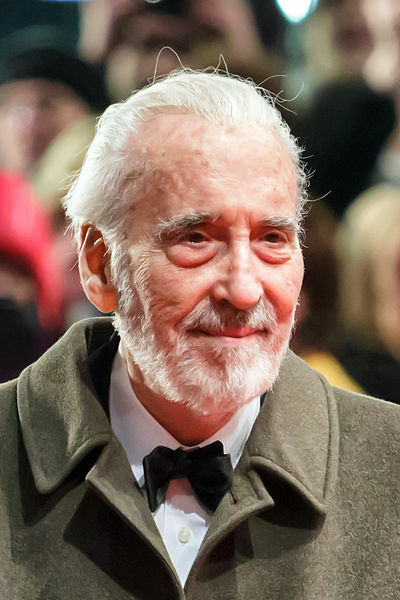 A kid among the Monster Boomers can’t let the death of Christopher Lee go by without comment. How many hours of my childhood were spent watching movies on Saturday afternoon TV with his many personae arresting my attention? And, of course, his prolific output just kept on coming. The Wicker Man, for instance, would never have been among my childhood fare, but his performance as Lord Summerisle is still captivating and sends shivers down my spine. Of course, he wasn’t always a horror movie star. His voice nevertheless conditioned us to be on our guard, for we knew something untoward was about to happen. I often ponder the lure of monster movies. As a young boy, I couldn’t get enough of them. I tried to grow out of this stage, and managed pretty well through my doctoral work, but then when I found myself in a Gothic seminary where my life would be shredded and discarded, I suddenly found myself sitting up late to watch movies my family would not care to see. There was a catharsis happening here. Some would claim that it is puerile and immature—they would be the same people who’ve not been forced from careers and faced with unemployment and been dealt a failing hand by an institution that received full commitment during the formative years of an aborted career. No, those who’ve faced monsters cannot easily leave them alone. Of course, Christopher Lee was only playing monsters. Now many people around the world can instantly recognize his name, face, or voice. We all face monsters. Our society teaches us to deny that they exist, much to our own peril. Little children, bewildered by this insanely complex world that adults have constructed, may be the ones to see most clearly. We watch the monsters on the screen so that we might figure out how to deal with them on the playground or in the boardroom. Christopher Lee was more than an actor. He was a teacher. And his best students learned something of human nature from him. What has Athens to do with Jerusalem, Tertullian famously asked. Much, seems to be the rhetorical answer. Today, August 1, is Lammas. 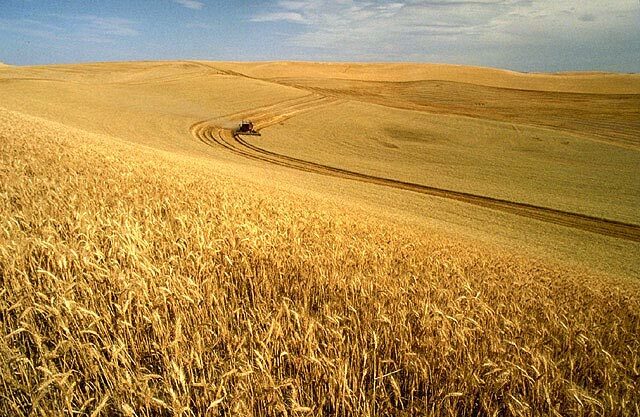 It is said to commemorate the wheat harvest and Lammas is taken to be derived from Anglo-Saxon hlaf-mass, or “loaf-mass.” Beneath this apparent Christian celebration is the pagan festival of Lughnasadh. I’ve posted on Lugh before, but holy days are often seasonal, and it is time to consider Lammas again. Lammas is the last of the cross-quarter days that divide the European pagan year. Some communities bake bread to celebrate it, sometimes in the shape of a person (those of you who’ve seen the original Wicker Man know what I mean). Christianity was born a persecuted religion that grew to be a persecutor. Deeply rooted pre-Christian traditions were eradicated or sublimated in the growth of Christendom. 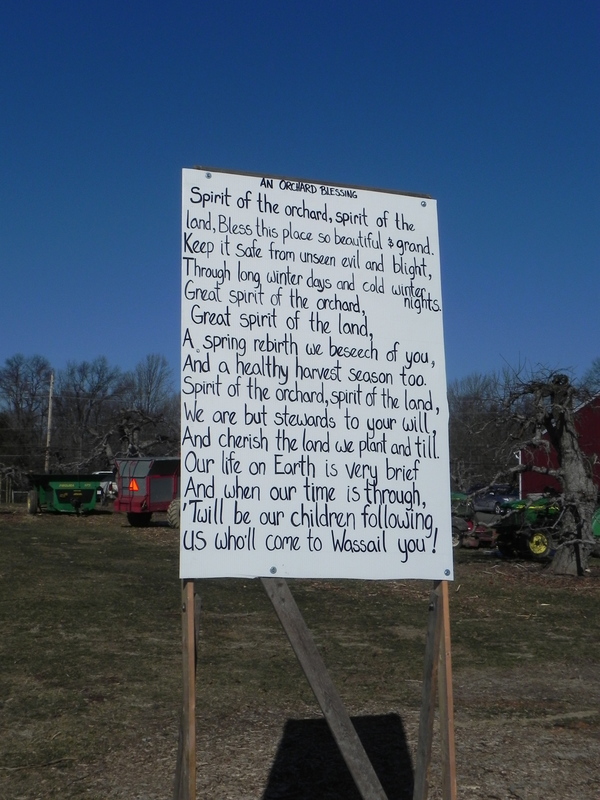 The modern pagan movement may not have an unbroken line of tradition, but it is a tradition that has ancient antecedents. What Christianity could not conquer it assimilated. Much of what became Christianity derived from Judaism. Much of Judaism had its origins in folk religions of ancient Western Asia. In its European context, Christianity adopted the heathen traditions that fit within the pattern of Christian thought. Agricultural celebrations quite frequently matched events in the imperial religion. Or, if no so events existed, new traditions were invented. It is quite plain that that is why we celebrate Christmas in December. Why is it that Christianity has so vociferously disavowed its lowly parentage? Being a chthonian religion should be no mark of shame. What is wrong with different but equal? Many people fear and despise those who declare themselves pagan, but paganism is a religion like any other, concerned with morality, justice, and living in accord with the power “out there.” So as August wends its way into the calendar, and the earth begins its inevitable tip towards lengthening nights and the cooling of the days, we might do well to consider Lammas. 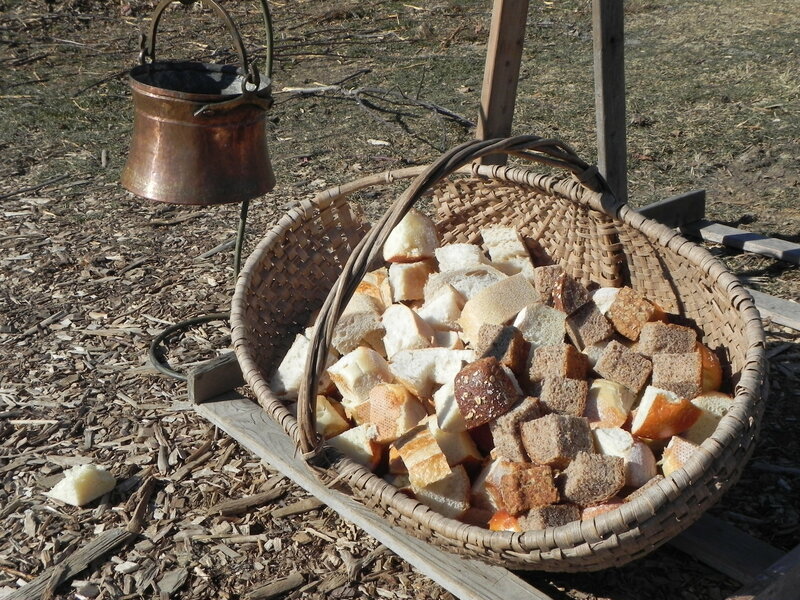 Whether from the Christian angle of Saint Peter in Chains or from the Pagan angle of Lughnasadh, Lammas is a time to eat bread and reflect, two of the most human of activities. And perhaps with thought will come tolerance. There is something extremely satisfying about bookends. Bookends are those events that bracket moments of our lives and give them a frame, a perspective they would otherwise lack. If my readers will indulge my recollections of my trip to Britain for a day or so longer, some of this may become apparent in esoteric ways. Our kind hosts in London live in Highgate. Our first bleary-eyed morning in the city we wandered to Highgate Cemetery. This burial ground is divided by Swain’s Lane and that makes it frightfully convenient to charge separate admission fees for the two halves. Both, however, are worth the pounds dropped to gain entrance. Our first visit was via tour group on the western half of the grounds. The ornate—indeed grand—architecture of this necropolis bespoke the mysterious connection between the living and the dead. Tycoons are buried there, as is the non-conformist Michael Faraday, a name that lingers on from my childhood physics classes. Just before leaving to board our flight back to the States, we completed the bookend by visiting the eastern half of the cemetery. Here the most famous residents seek eternal rest. 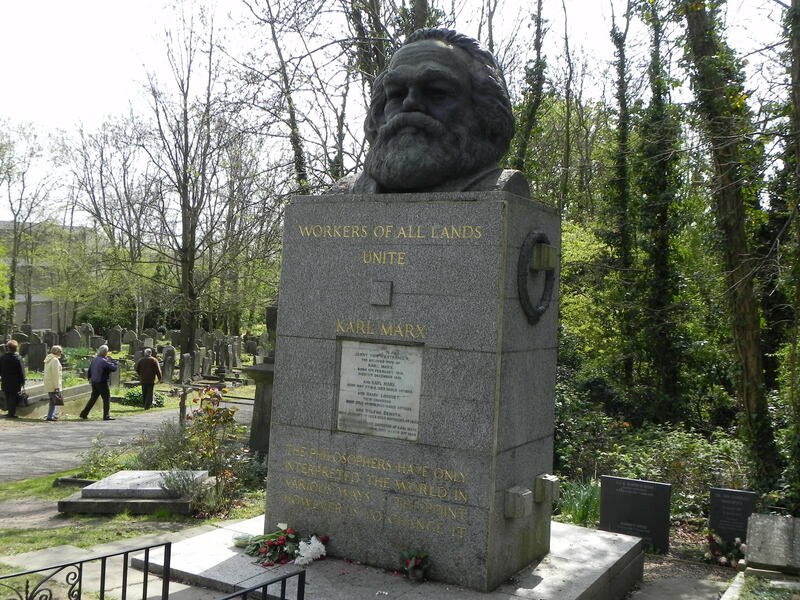 The most famous of the dead on this side is Karl Marx. Visitors speaking Cyrillic or Sinitic languages milled about, but even an American idealist might find some grounds for admiring a man who felt deeply about the plight of the workers in society. Just across the lane lies Herbert Spencer, one of the founders of sociology. Less than two minutes will take you to the grave of Mary Anne Evans, known to the literary world as George Eliot. She is not far from Douglas Adams, inventor of the Hitchhiker’s Guide to the Galaxy. Across the path from Adams rests Anthony Shaffer, writer of both Sleuth and of the screenplay of The Wicker Man. 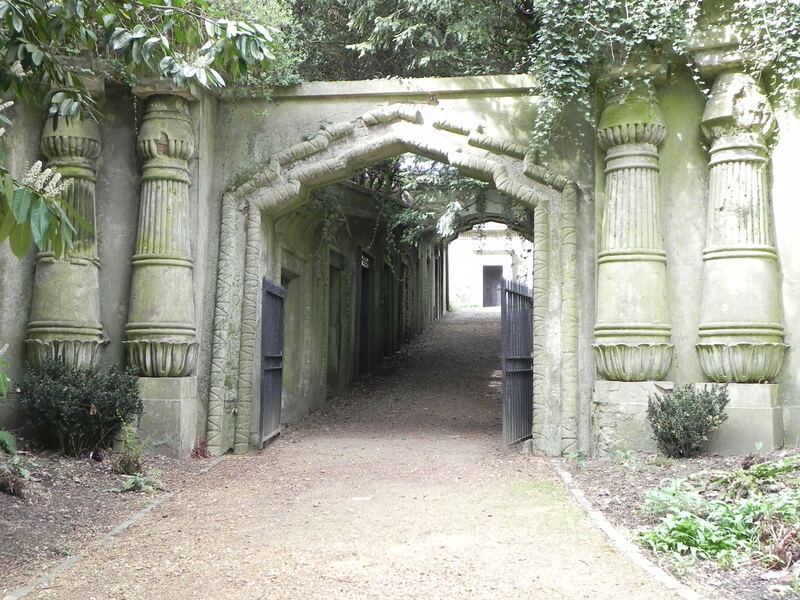 Perhaps it seems macabre to travel such a distance only to bookend a visit with treks to Highgate Cemetery. Death, however, is the ultimate bookend to life, with each generation shoring up those that come after through its unique perspective on what has brought us here. Not even a visit to Westminster Abbey is complete without paying respects to the most noteworthy of the Brits found both within and without its walls. This trip to England will remain in my memory as the pilgrimage bookended by the solemn parentheses of death. With such august company, however, one might have less to fear from that final veil that all must face.